When it comes to dream homes, Aussies have given open plan living the thumbs up, with more than a third saying the modern living style is a “must have”. An online survey, commissioned by homebuilder Henley, shows 36 per cent of the 3000 respondents say they will not consider buying a house if it does not have a free-flowing modern design. In fact, the architectural layout is so important it ranks higher than extra bathrooms (34 per cent) and a lavish alfresco or barbecue area (33 per cent), when it comes to essential elements in a home. The feature at the top of Australian homebuyers’ wish lists is having three or more bedrooms (42 per cent), followed by a garage or carport (39 per cent). Next comes the open plan design (36 per cent), a separate laundry (34 per cent) and extra bathrooms (34 per cent). 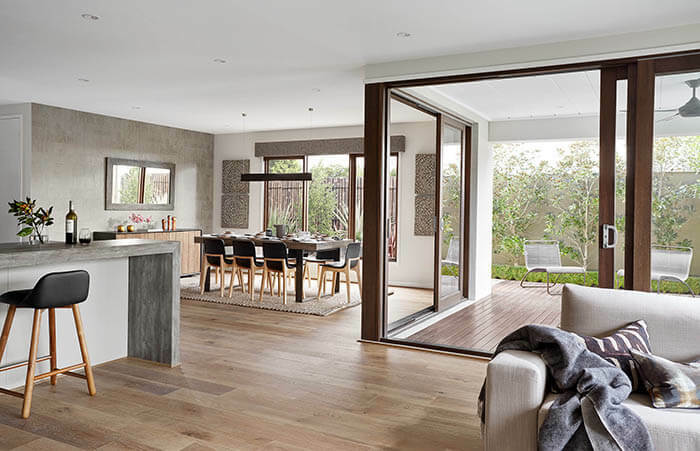 Malcolm Gunning, Real Estate Institute of Australia President, says open plan living is key and shares his observations as the Australian dream house undergoes a generational shift. 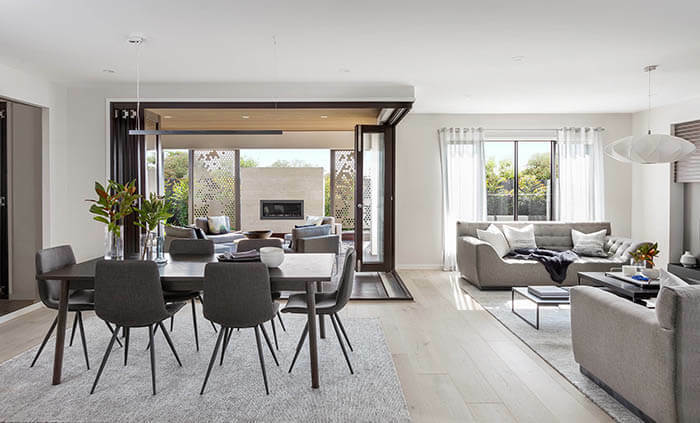 Jeff Bugeja, Henley National Design Manager, provides insights on why Australians are shunning closed-in living spaces and how family is influencing design. Neb Delibasic, Auctioneer for Del Real Estate in Melbourne, confirms modern plan is what buyers want. The entertaining area is the heart of the home and Australians have overwhelmingly favoured a free-flowing space when it comes to their dream home and lifestyle living. When it comes to the dream home individual and generational tastes may change, but space for the family remains a common theme. Jeff says, “The three bedrooms has always been around. It is enough space for the 2.5 standard family and when extra family and friends come to visit it is pretty important to be able to have space for them. The appeal of open plan living is undeniable and when it comes to building a dream home and it can be incorporated into any design on any block size. Following a degree in Marketing, Emily cut her teeth in the world of journalism, writing features for various national publications. Her particular areas of interest are sustainable housing, renovation and good old interior design. A Definitive List of the Best Furniture on InstagramOpen Plan, the Key to Aussie Dream HomesWhat is buying off the plan and is it right for you?